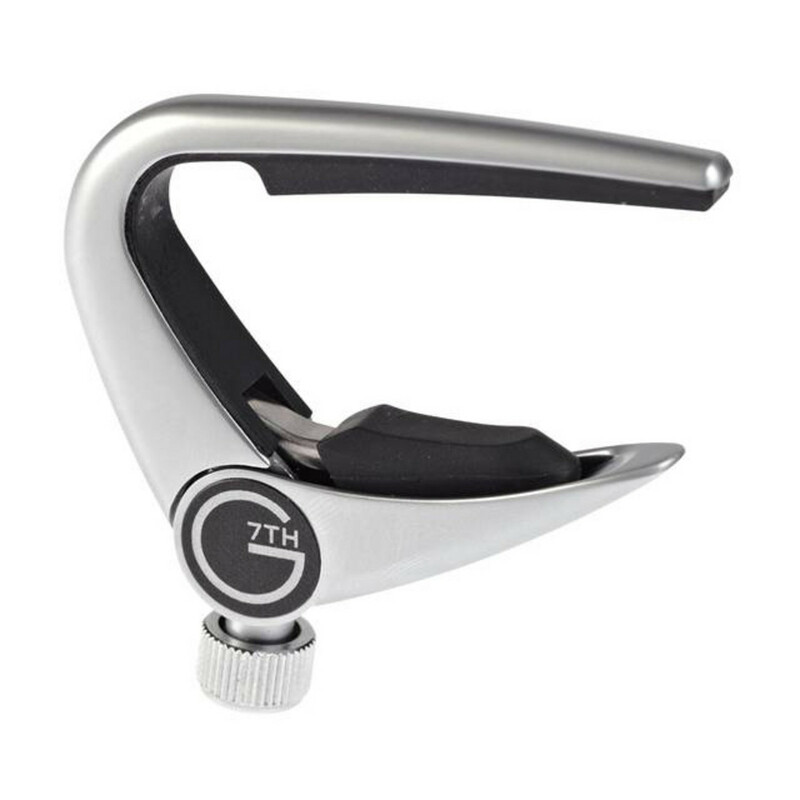 The G7th Newport Capo is lightweight and low profile giving you fast, accurate capoing with fine tune adjustment - in position - on your fretboard. The advanced Newport Capo applies the exact amount of pressure needed improving tuning problems and the loss of sustain often associated with the overly thick rubber on many other capos. This capo holds down 5 strings on a 6-string guitar creating an effect similar to using a drop tuning.